Some people seem to be destined to meet and make a great and loving couple. They enjoy every moment of being together, can go through numerous difficulties and hardships. Sometimes these people merely feel each other’s emotions and predict intentions! 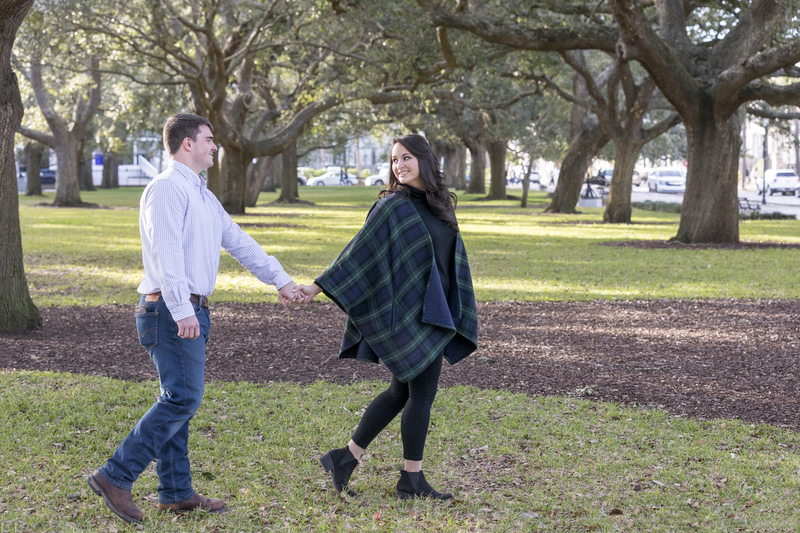 ‘Eric and I have been long-distance our entire relationship, but we are fortunate that we often don’t go more than two – three weeks without seeing each other. I’d say that our favorite place to be is just anywhere we’re together. 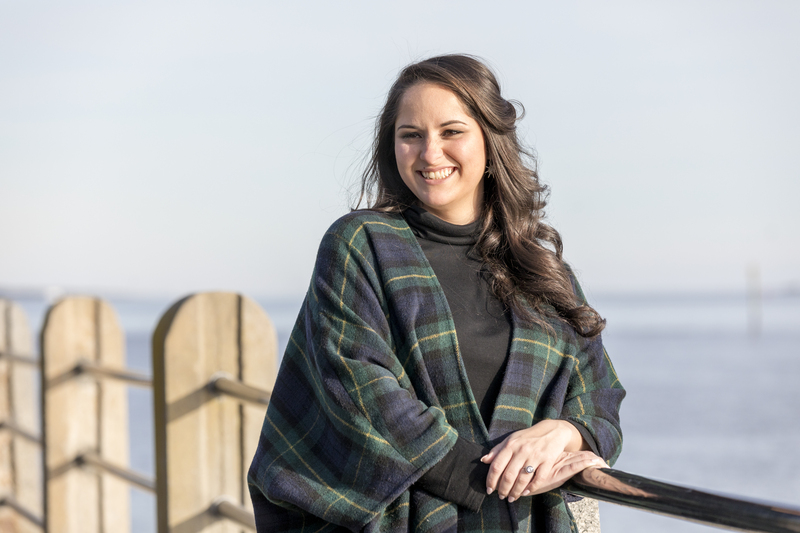 It doesn’t matter if it’s a vacation across the country or just a visit to my home in Durham, N.C., any time that we are together is special’, told me Rachel. It is that I have thought when I have seen Rachel for the first time. 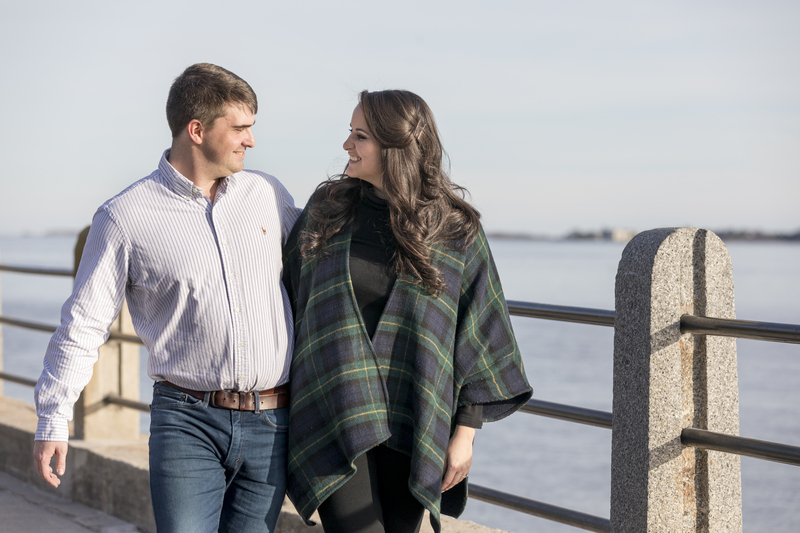 The engagement was an absolute surprise for the woman, but she was dressed so stylishly and looked so pretty as if she had known about our secret engagement photo session in Charleston in advance. Rachel looks really great on the photos, doesn’t she? 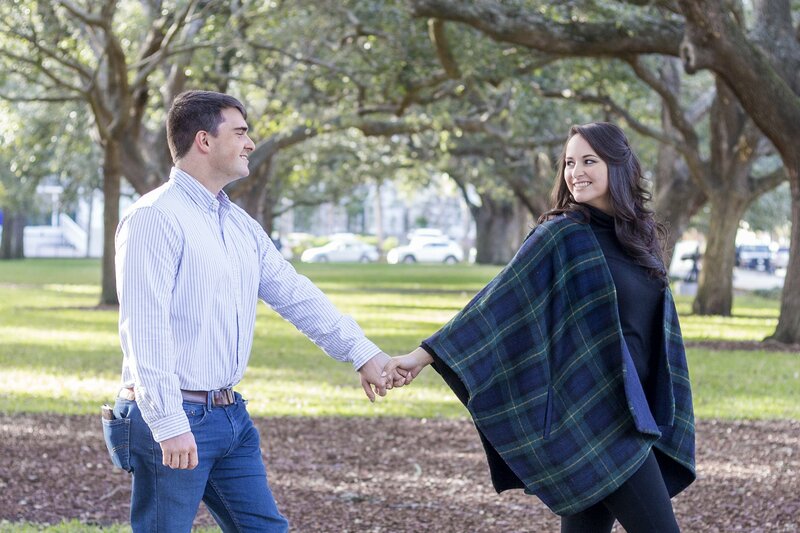 After our meeting the woman said to me:‘Prior to this engagement session, Eric and I have never had professional portraits taken together. 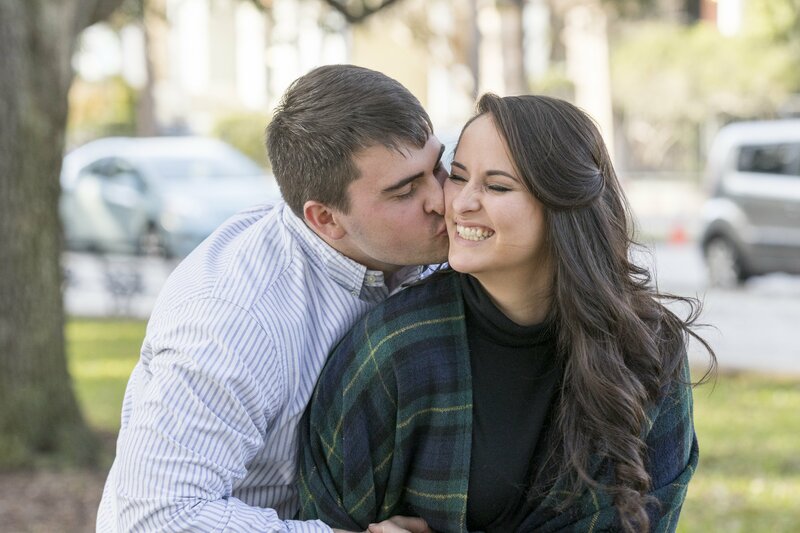 Our pictures mainly consist of photos we’ve taken or ones friends or family have taken of us. I’m so thrilled to have these beautiful photos we can proudly display in our home’. 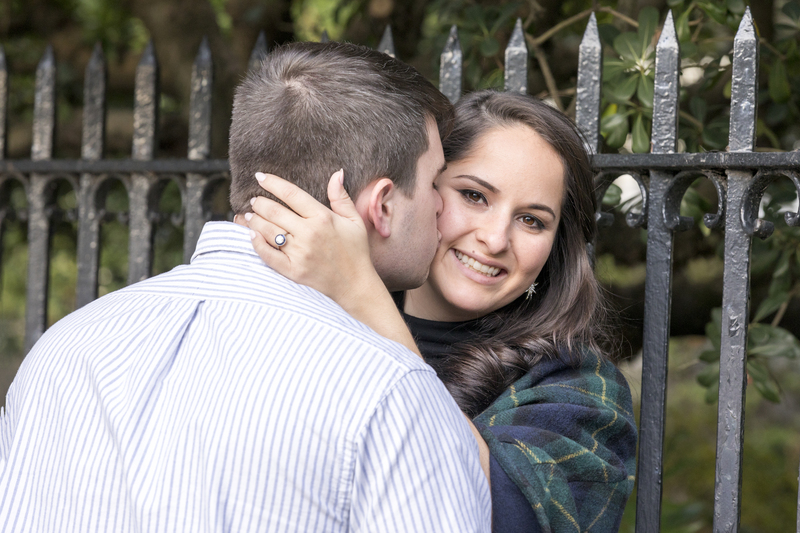 It was the first professional photo session of Rachel and Eric and it was organised perfectly. I should pay tribute to Eric for his responsible and attentive approach to the preparations. It is necessary to make up a map and agree on the accurate time and place for the proposal to be made. 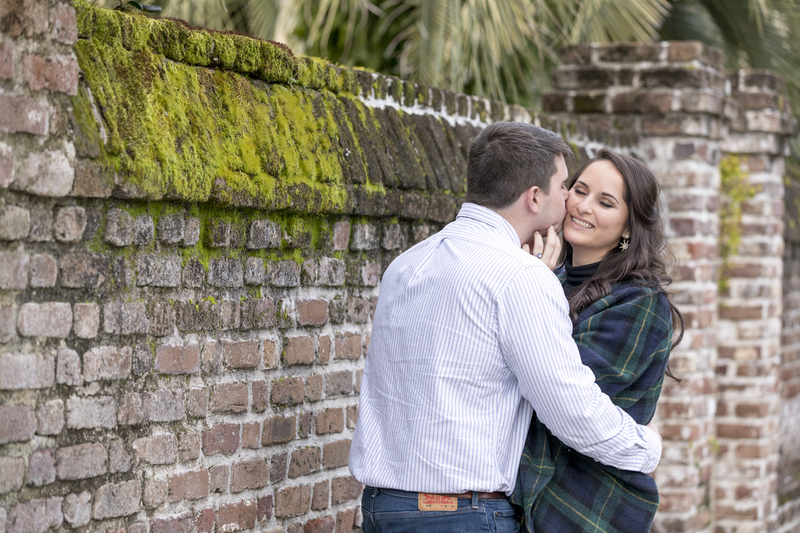 Such things help your Charleston engagement photographer to capture the first and the most sincere emotions of your partner. Eric and I called up for several times to make clear all the details. 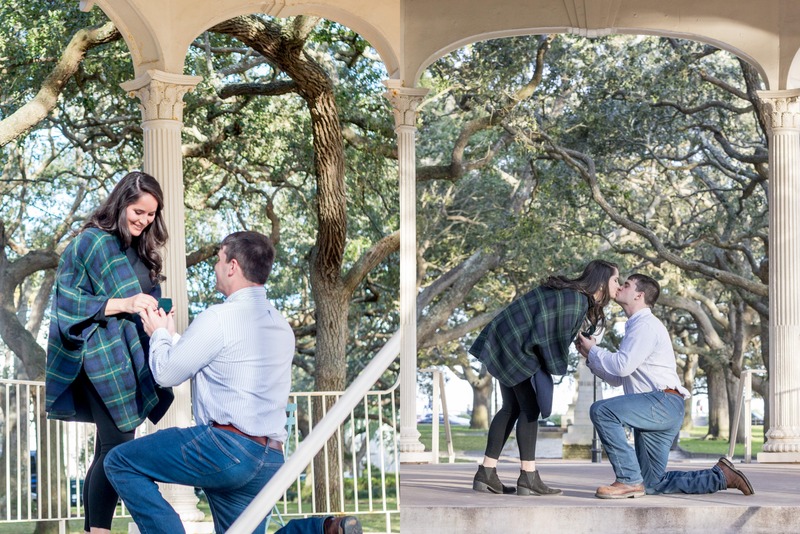 The photos of his proposal turned out to be absolutely great because of that. Can you imagine a more touching and exciting moment looking at these shoots? 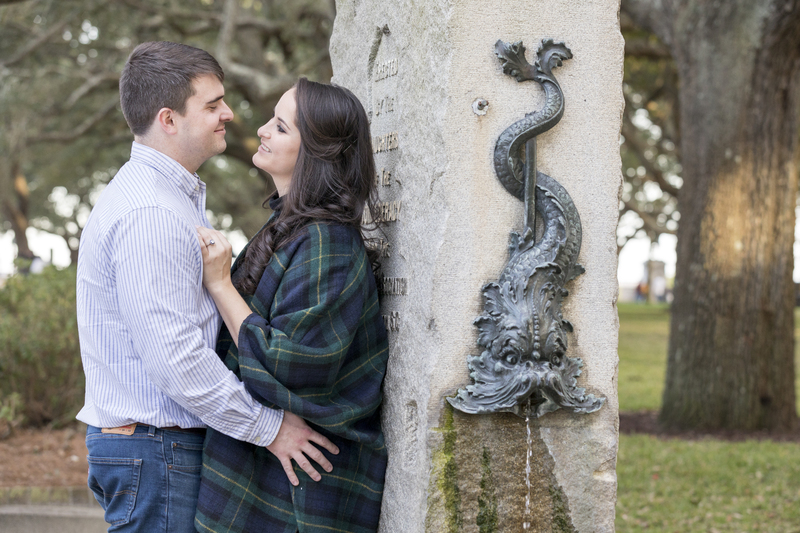 ‘The engagement photo session at White Point Gardens was a total surprise to me! 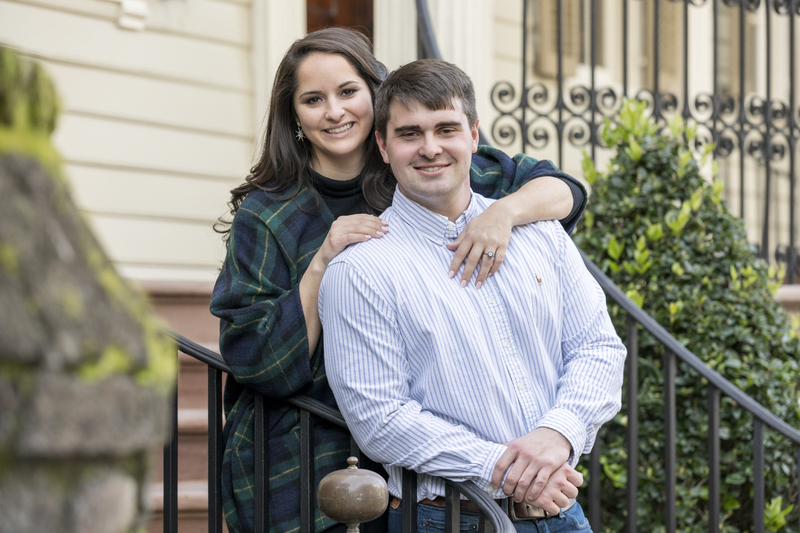 I thought Eric and I were celebrating our anniversary in Charleston (where we had our first date). 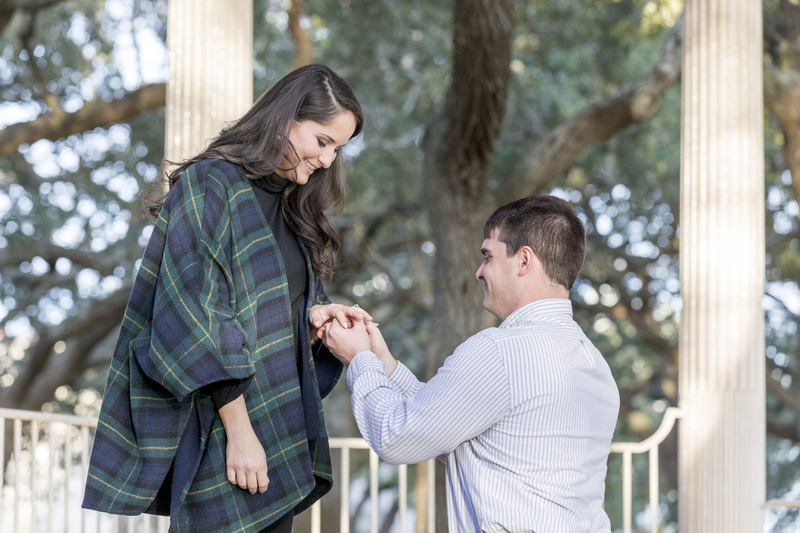 Little did I know he had conspired to pop the question in this beautiful city. Even though it was late January, we couldn’t have asked for a more beautiful day’, said Rachel happily. I think Eric could not choose a more suitable place for this significant moment. 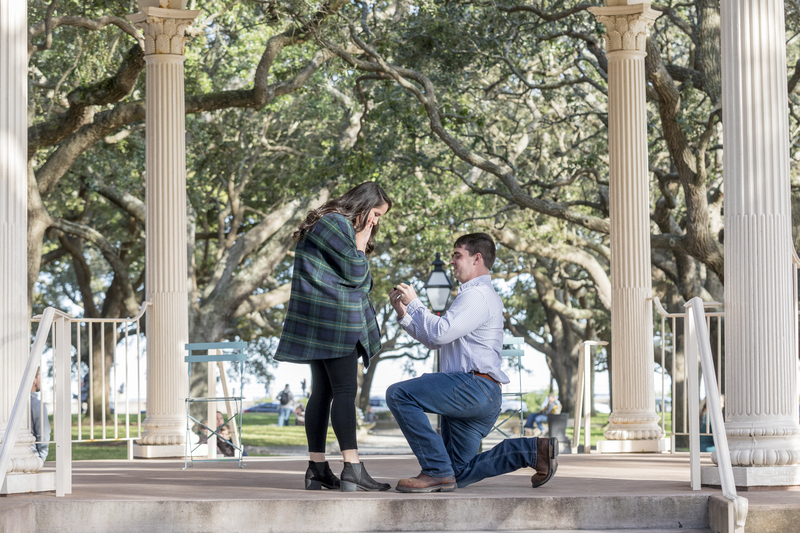 Our secret proposal at White Point Garden turned out to be so beautiful and emotional as this place means much for both of the couple. 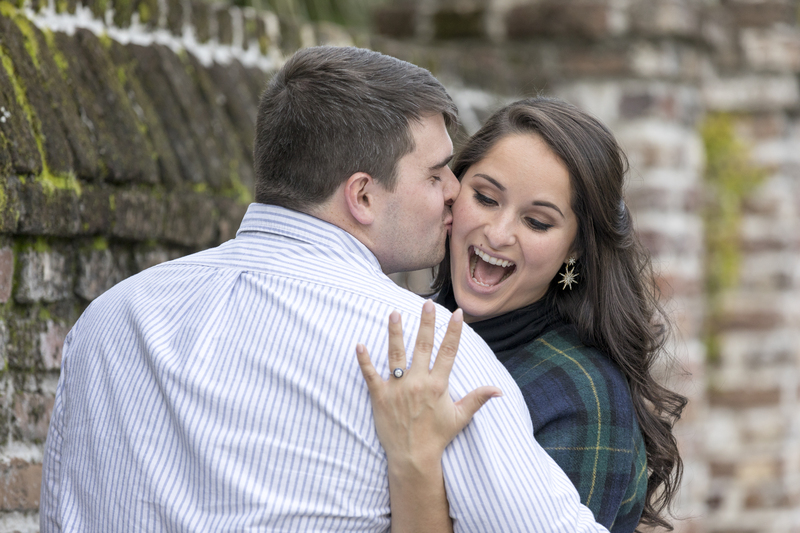 By the way, it is a really charming location for any kind of Charleston photography. The central and the most attractive point of the park is the Gazebo. You can judge for yourself how romantic and lovely the photos look. White Point Garden is full of charming places to make unique and special photos. 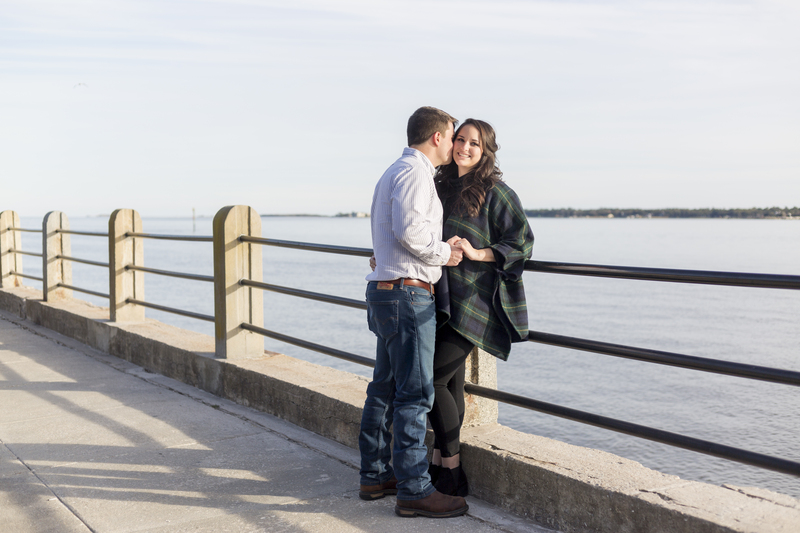 Historic monuments, refined benches and fences, waterfront views, old oak trees will become an outstanding background for any kind of event. Despite we could pay attention not only to the park but visited some streets nearby. 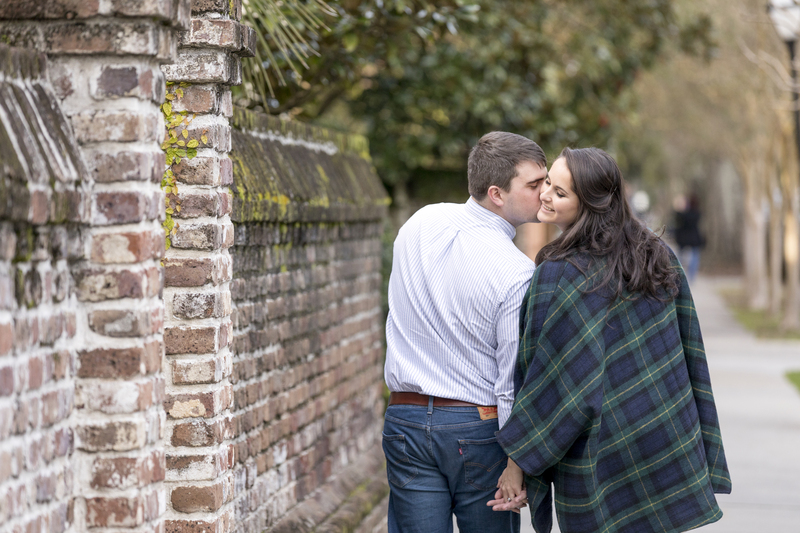 You can look at the lovely shoots made on Meeting Street to make sure that parks are not the only choice to hold a beautiful engagement photo session in Charleston. It was interesting and pleasant to work with Rachel and Eric. Therefore, I was glad to see them again. We met after the couple had visited a restaurant to celebrate engagement and I showed them the photos. Rachel and Eric could choose their favourites. ‘Dennis was a pleasure to work with from start to finish! He took great care in setting up the shots and making sure Eric and I looked our absolute best. Even the unedited shots we saw from his camera were breathtaking! 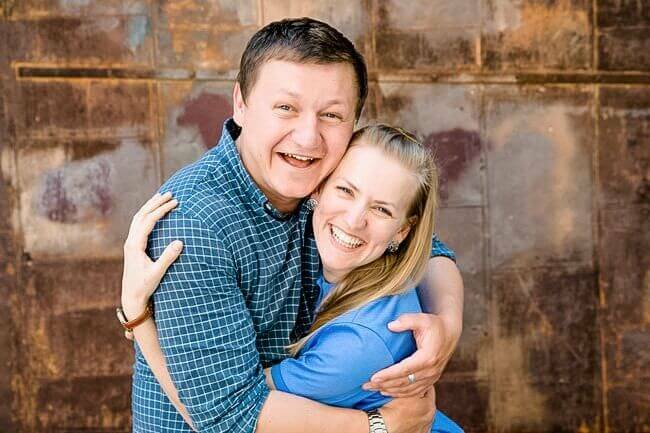 I would recommend Dennis to anyone looking to document their most precious memories’, said Rachel after our work. 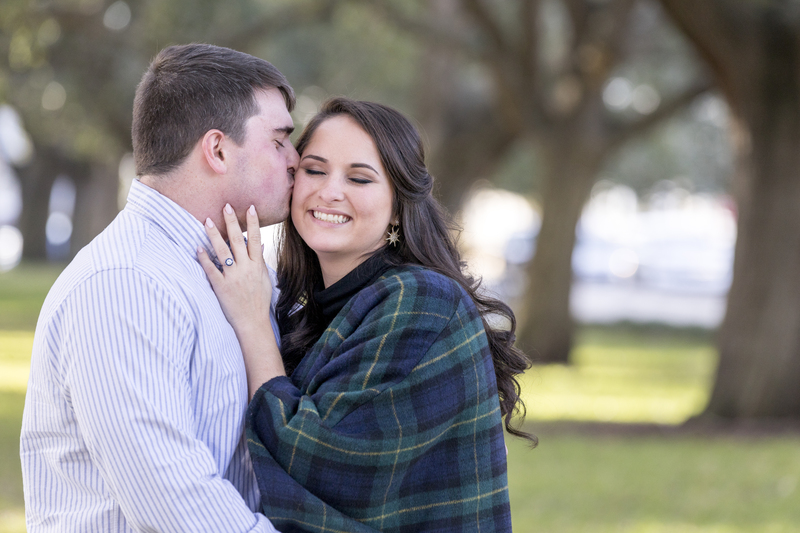 Thank you, Rachel and Eric for this beautiful and inspiring photo session!